Price Rite Weekly Flyer February 8 - February 14, 2019. Happy Valentine's Day! 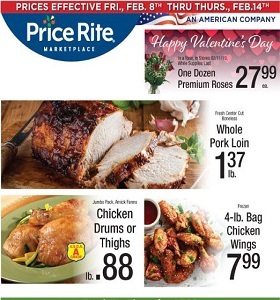 Price Rite Weekly Flyer February 8 – February 14, 2019. Happy Valentine’s Day! -$9.99 Pompeian Olive Oil; $5.99 Maxwell House Coffee. To see the weekly circular for your favorite Price Rite store, search by ZIP Code or city, state.